All the rhythms of life are reflected in the heartbeat, which is controlled by the autonomous nervous system. The nervous system is affected by daily life, by primal human instinct - e.g. fight and flight - as well as our recreation and sleep phases. The vegetative nervous system records this varied game, which none of us can escape, like an antenna and directs every single heartbeat of our life. Many people think that our heart should beat as regularly as possible but the distance between each heartbeat is never the same. 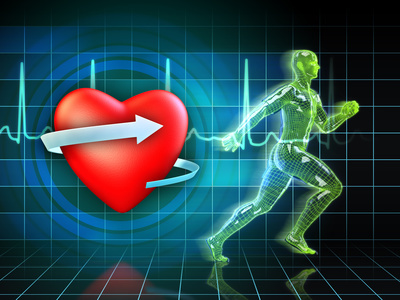 A variable heart rate indicates a positive state of health, while a rigid pulse indicates a very critical situation. The graphical representation of heart rate variability and its analysis make it possible to depict the extremely complex processes of the autonomic nervous system in the human body and to make emotional, physical and mental conditions visible and comprehensible. Thus, heart rate variability represents an easily identifiable image of the individual health and overall condition of a person - an innovative and unique diagnostic and examination method. Heart rate variability is an inner map and signpost at the same time - the representation of your lifestyle and your health as a result of a 24-hour ECG measurement based on heart rate variability (HRV). Heart rate variability, this minimal irregular distance between the individual heartbeats, is measured over 24 hours or even shorter by means of a portable, ECG device suitable for daily use, and displayed in the powerful fire of life graphic. The resulting fire of life image resembles a fire: The more intense and dense the colors (blue, red, yellow etc.) and the higher the "flames" blaze, the more vital, younger or fitter a human being is. If the diagram shows only small flames and few color contrasts, the picture indicates reduced vitality, little parasympathetic activity, exhaustion or illness. The HRV analysis shows in detail the rhythm of individual stress and recovery phases.